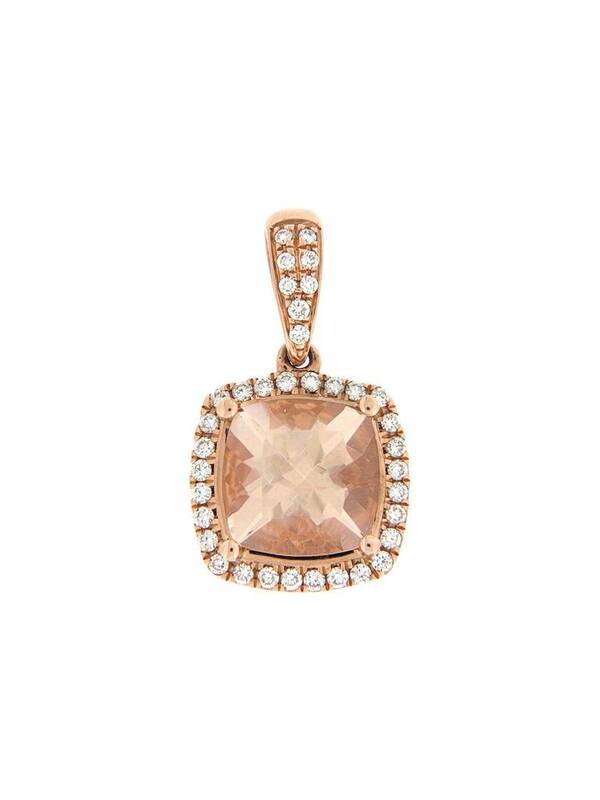 Ladies morganite and diamond halo pendant of classic contemporary styling. 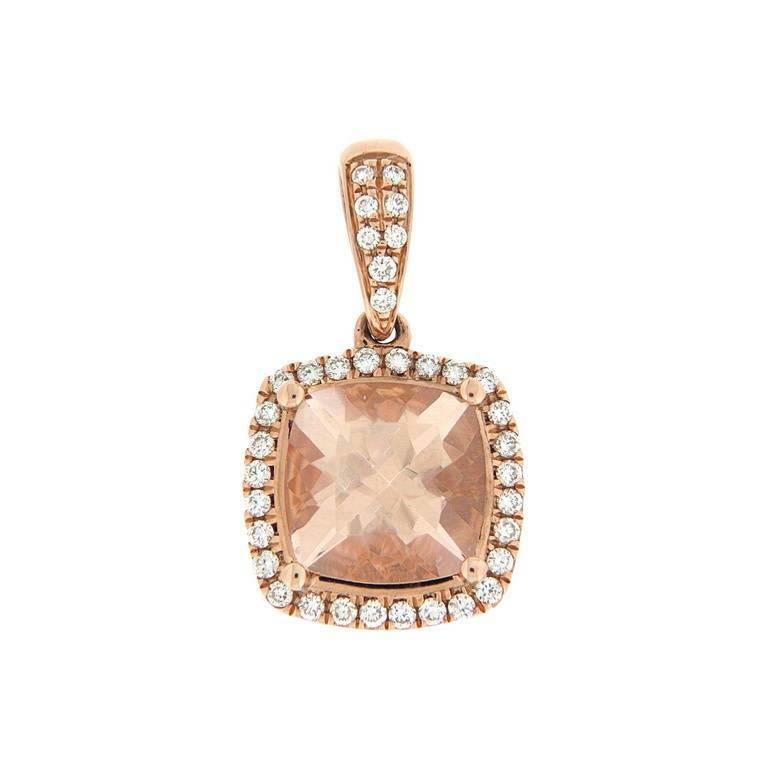 The pendant is crafted in 14k rose gold and is set with one cushion shaped morganite at center. This morganite is surrounded by a halo of round brilliant cut diamonds that also extend up the bale of the pendant.